Plop. My glove fell on to the damp long drop toilet floor at 4,400m and at that point I really didn’t think things could get much worse. Outside the thin walls the wind was biting any exposed skin and we had passed the last source of water hours ago. The longer I debated my few options the more stranger’s wee was soaking into the fabric. Up until this moment our trek had been a literal walk in the park. Lovely weather, good food, fun days of walking, so much so I was starting to wonder where the challenge was. Turns out I found it right there, in my wee -soaked glove. 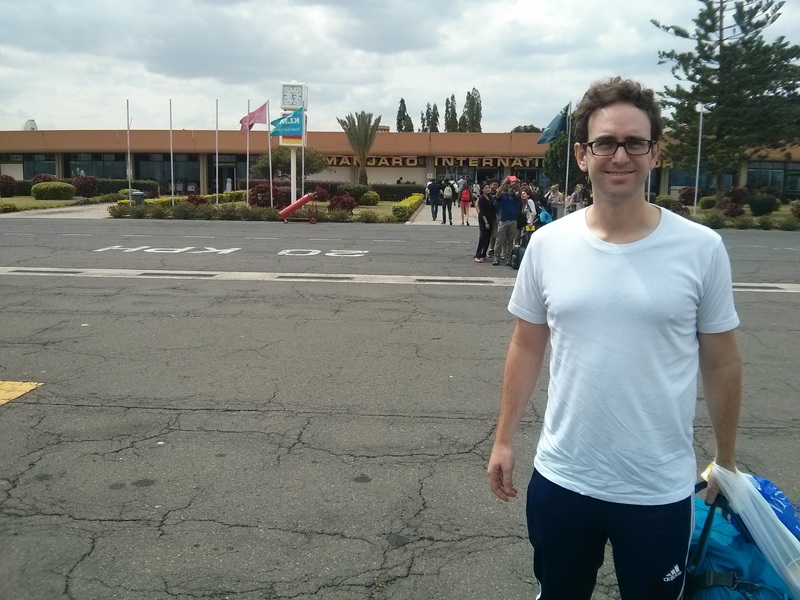 Rewind to a week before this lovely moment and Alex and I had just arrived at Kilimanjaro International Airport and had found a perfect base for 3 days at the Stella Maris hotel in Moshi. Mango juice on arrival and the best ugali I’ve ever had for every meal. 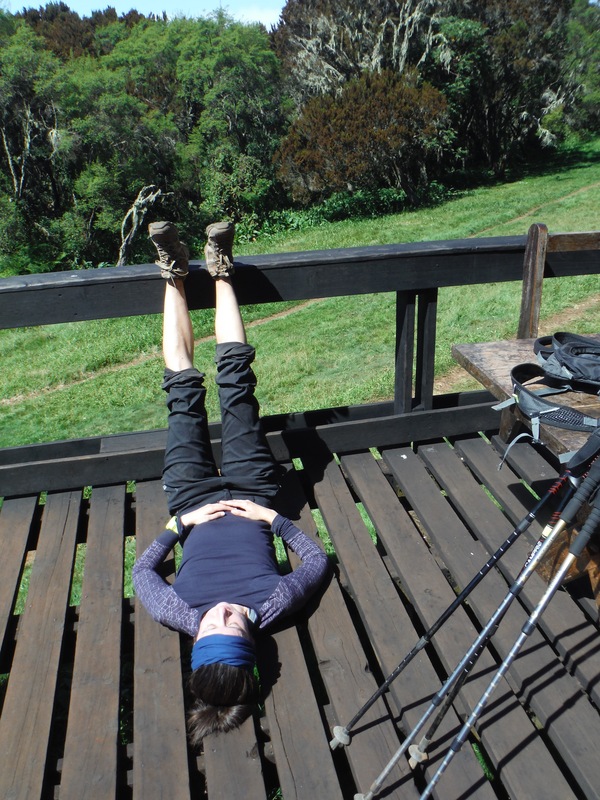 I highly recommend anyone doing a Kilimanjaro trek arrive a few days before if only to relax and get on the pole-pole pace. 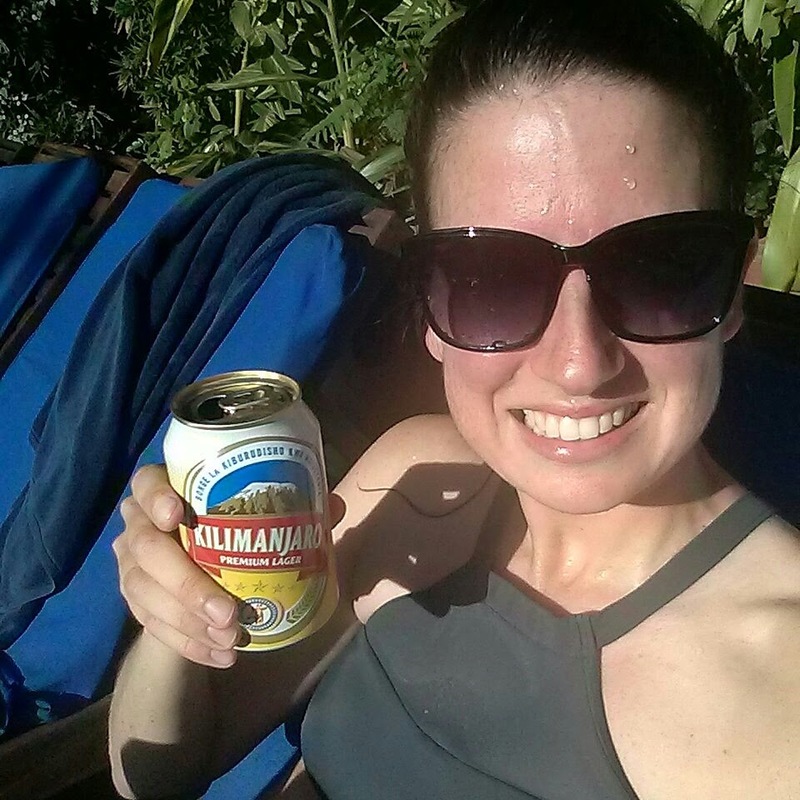 Preparing for any trip is stressful, especially one with a kit list 2 pages long, and we learned the key to a successful Kilimanjaro trip is to take everything slowly and relax. The mountain doesn’t like it when you rush. The view of Kilimanjaro from our hotel bar. We spent our pre-mountain time meeting people who had just completed their climb and some who were also heading up there soon. We learned that if you ask 10 people a question about Kilimanjaro you will get 100 different answers. 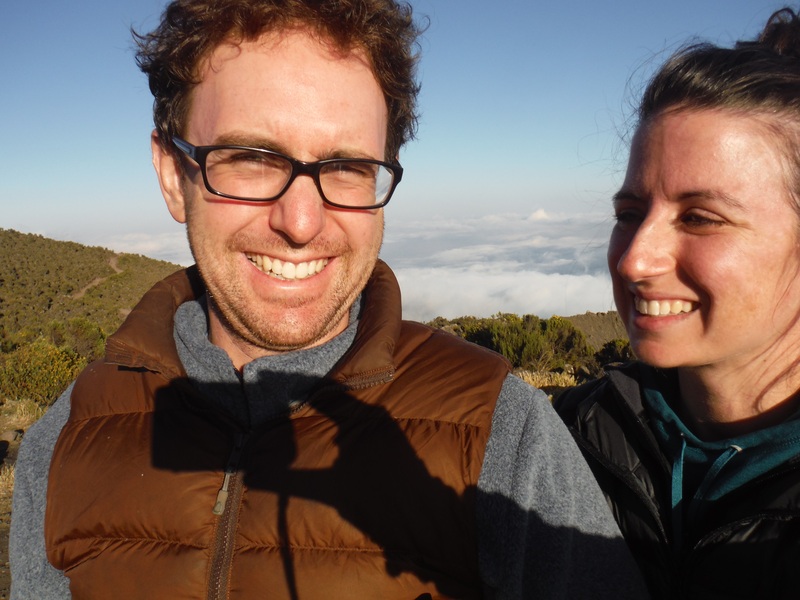 The only thing constant about Kilimanjaro is change. Some people will tell you that you need to bring X or take Y to summit. The smart people will tell you to be prepared, be adaptable, and enjoy it. We ate as much ugali as possible before the trek. If it’s good enough for Wilson Kipsang it’s good enough for us. We had signed up for the quickest trek on Kilimanjaro, a 5 day trip with 4 days of ascent (1000m minimum each day) and 1 day of decent. The Marangu route is also in huts. These two things combine to it’s reputation as the coca-cola route for those who want the supposed easy & popular option. 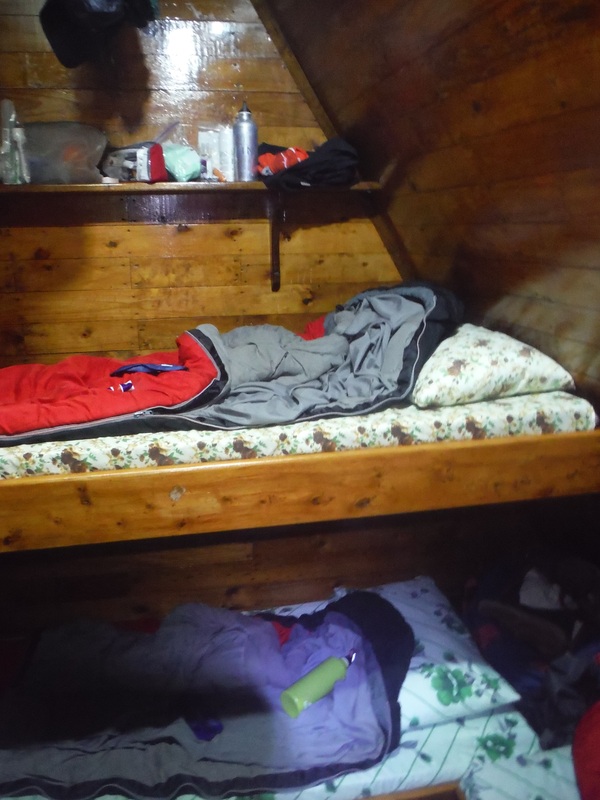 I’m not sure why people think sleeping in small huts makes ascending 5,895m in 4 days any easier because it’s not. 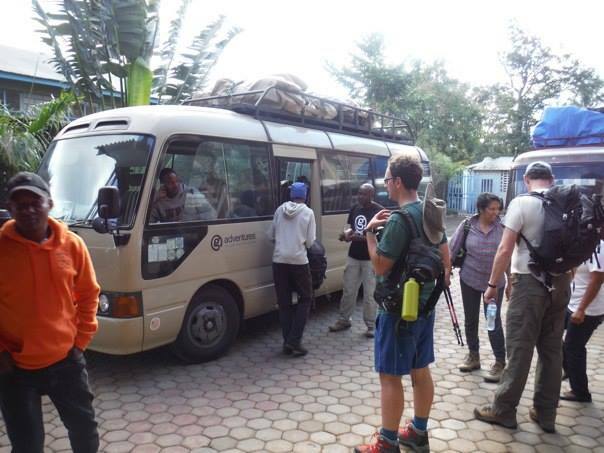 As we piled into our van to drive to the Marangu Gate we met the other two people on our trek. From the start they were unprepared and very negative about almost everything on the mountain. They ended up quitting on Day 2 with many excuses (my favourite being that the trail had too many rocks on it) and Alex and I decided to not let their negativity effect our trip so that is the last we will speak of them. It took about an hour at the Marangu Gate to get signed into the National Park and have all our admin taken care of. 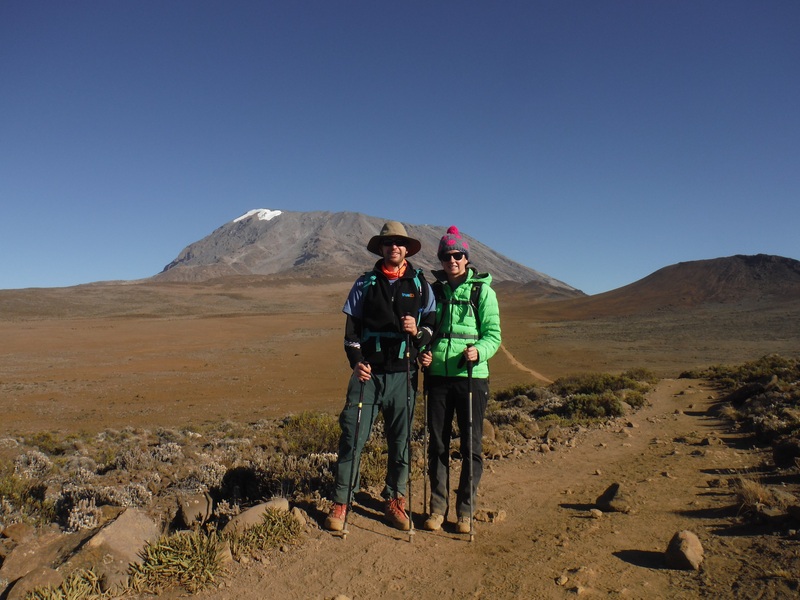 Kilimanjaro is a very controlled mountain, permits are expensive, you must have a guide and a porter, and you can’t go off the established routes and camps. Even with all this it is very well run and I was so impressed with the quality of facilities on the mountain. Once we were signed it it was time to go! On your marks, get set, pole-pole! I can’t explain how slow you walk on Kilimanjaro. In swahili it’s called pole-pole and if you even think about going a bit too fast you will have your guide pulling you back warning you about pole-pole and making you drink more water “water is life” We averaged just over 1 mile per hour walking throughout the trek and rather than being boring it was really interesting. The science says you go slow so your heart rate doesn’t rise too fast and you have a chance to absorb the oxygen as you ascend into thinner air. The mountain says you go slow so you get time to notice the beauty around you. On the first day we saw Blue Monkeys & Colobus Monkeys along the trail and countless plants & trees unique to Kilimanjaro. Pole-pole took some time getting used to as after our breaks I’d go back to walking at my normal pace, but after the first day it started to come naturally. A lot of people who do a lot of climbing and mountaineering know how boring trekking can be. Long hours of walking slowly and long hours waiting at camp for weather windows or your body to acclimatize. This time is so valuable though, it teaches you patience and tolerance, two of the most important skills to have on a mountain. The first day we trekked for about 4 hours through the rain forest to the Mandara Huts (2715m). On arrival at the camp we got into what became a great routine. Change into our warm night outfit, dry out sweaty trekking clothes, set out clothes for tomorrow, and then have popcorn & tea with our guides discussing the day and plans for the next. After all that and a quick monkey hunt we were back in the main hut for dinner. 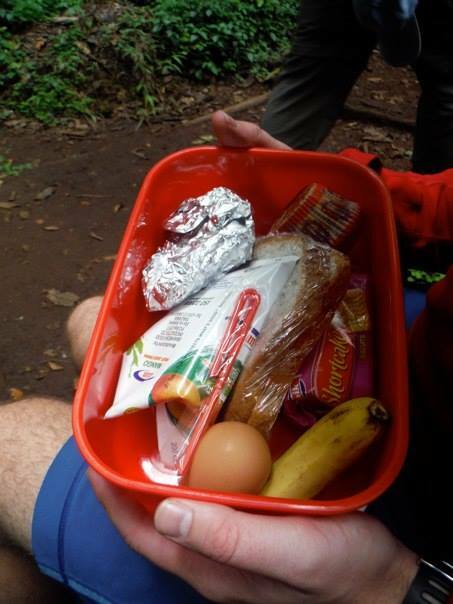 I cannot say enough good things about meals on Kilimanjaro. Wow. Each meal is at least 2 courses, sometimes 3! Dinner starts with a soup. Cucumber soup was my favourite, followed by pumpkin. Then you have the main course. 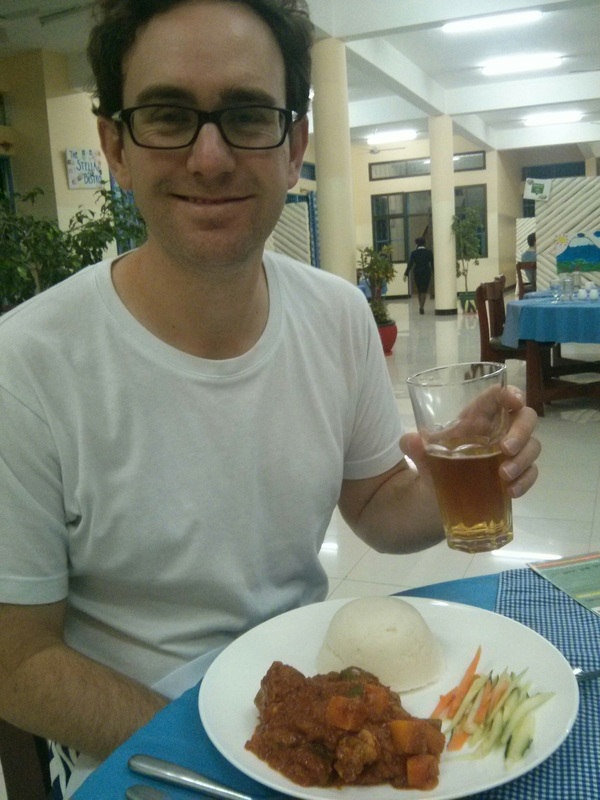 We had everything from fish & chips one night to a delicious chagga stew with rice. Then you have fruit or banana fritters at the end and always lots of tea and hot chocolate (or milo!) throughout. 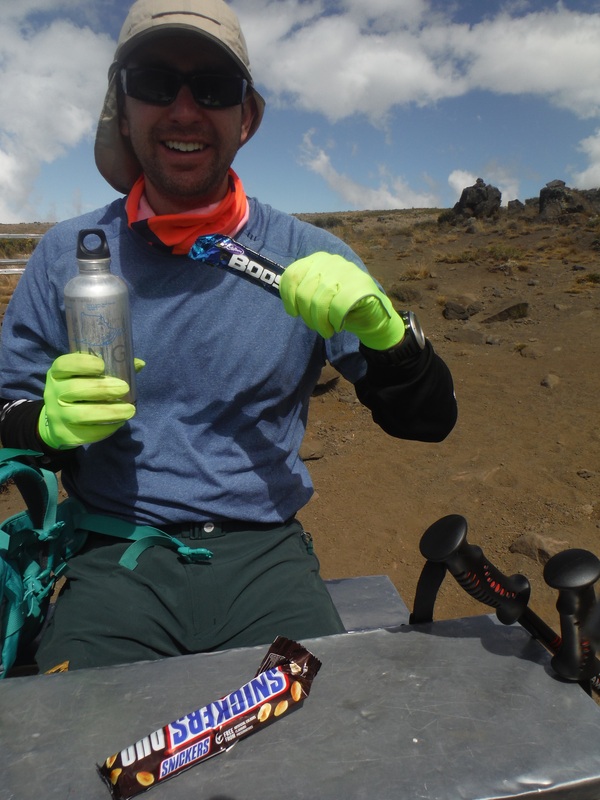 There is no such thing as eating too much on Kilimanjaro. You must eat loads to walk all day and to help your body acclimatize. The higher you go the more energy you need just to breathe normally. I probably ate triple what I usually do each day and was still barely meeting the minimum according to our guides and cooks. After dinner it’s straight to bed. On the mountain you must move to keep warm. During the day you walk, during the night you sleep. It’s a simple and lovely way to live. Morning comes with a knock at the door and a friendly Jambo from our cook who has brought us warm water to wash & some hot tea to drink before we get out of bed. No point in wasting energy shivering. The morning tea became my lifeline on this trip. I wouldn’t be surprised if it was spiked with something stronger because it always cured whatever ailed me the night before. My trick of laying out my clothes the night before came in handy each morning as I’d tuck them in my sleeping back while I drank my tea. A warm sports bra is much easier to put on trust me. Once we were dressed it was up and out to breakfast. Another 2-3 course affair it started with millet porridge (the same millet used to make the local chagga beer) which was pure power in a bowl. Then toast, eggs, and sausages with of course more tea. 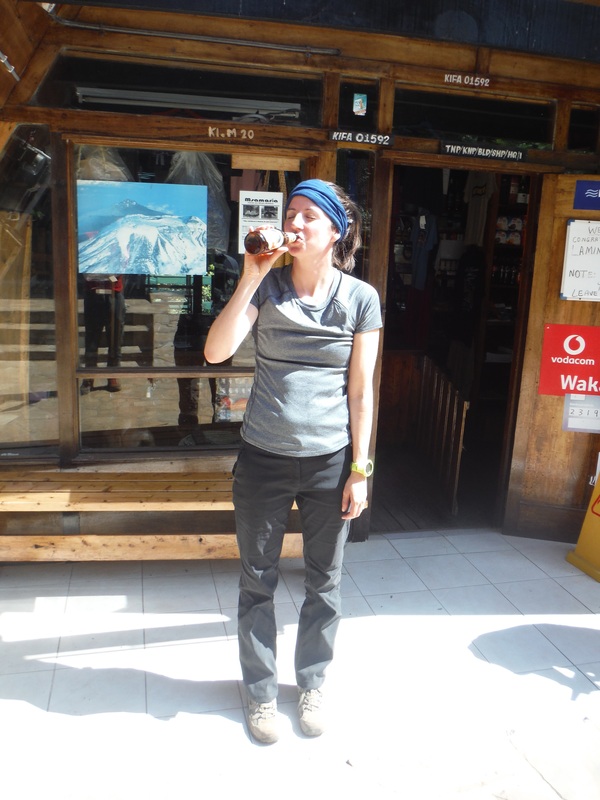 During breakfast we’d fill up our 3-4 litres of water and have them purified ready to go for the trail ahead. 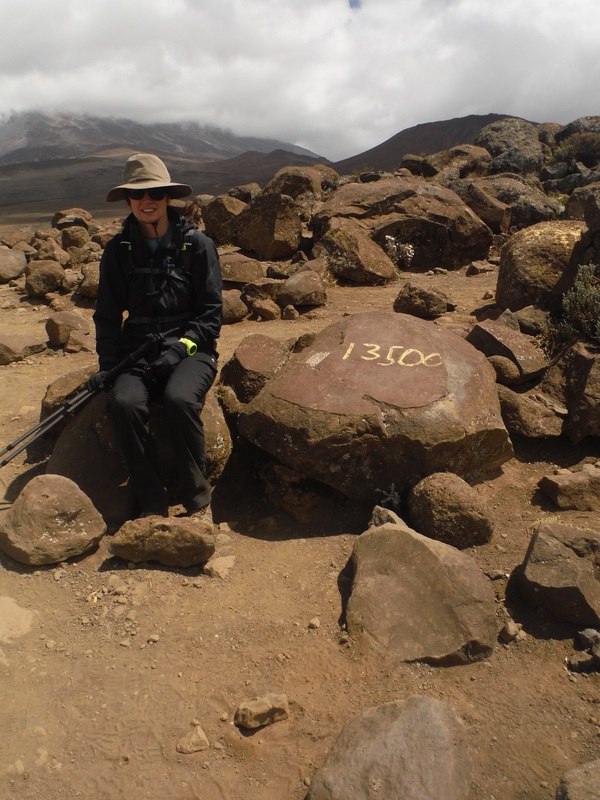 Day 2 saw us hiking from Mandara Huts to Horombo Huts (3705m) with a short detour to Maundi Crater. I highly recommend the detour, and if you have the time on day 1 it’s a great post-hike acclimatization (our group for certain reasons did not). Day 2 was long with over 11km to cover at pole-pole pace and 1000m of vertical. The path seemed to go on forever with ridge upon ridge ahead of us. Porters raced past us setting up and taking down for other groups but we kept on. We left the rainforest and entered the moorland of few trees but lots of big plants. It started to feel like Jurrasic Park above the clouds. Almost the whole day we had views of both Kilimanjaro summits Kibo & Mawenzi which were both inspiring and daunting knowing we had so far to still go. 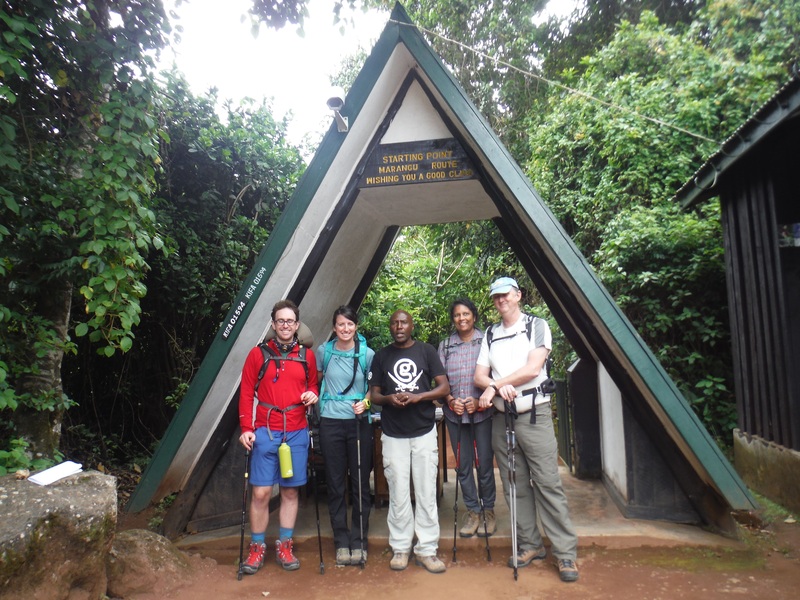 After lunch on the side of the trail we still had about 3 hours to walk and with only a short Boost bar break we arrived happy and excited at Horombo Huts around 4pm. 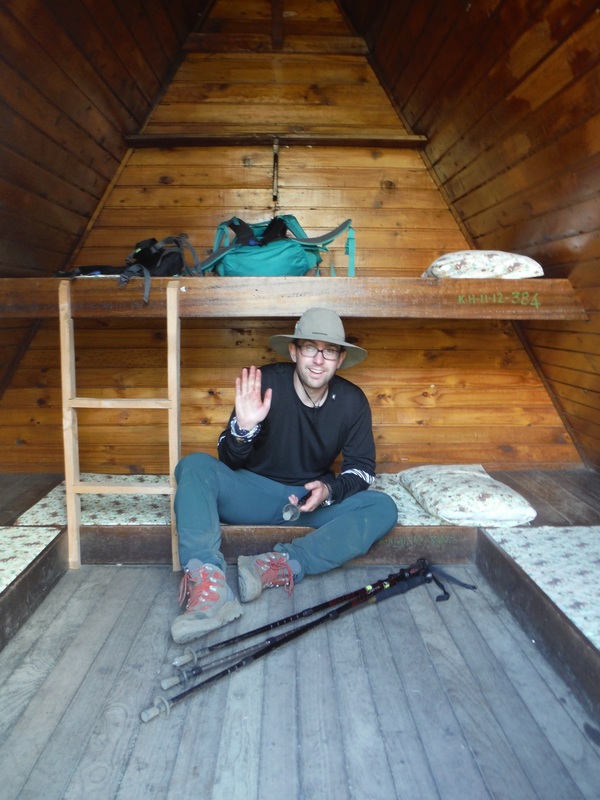 Both Alex and I felt great as we settled into our hut and discussed the day with our amazing guide Issac. After watching the sunset above the clouds we filled ourselves up with another amazing dinner and got into bed with our hot water bottles and dreams of the summit. Alex and I’s bunk beds. I took the top bunk for *extra* acclimatization. I didn’t sleep so well that night with a slight headache, but the morning tea brought healing powers (along with a trip to the bathroom!) and after breakfast I was good to go feeling great for the long day ahead. 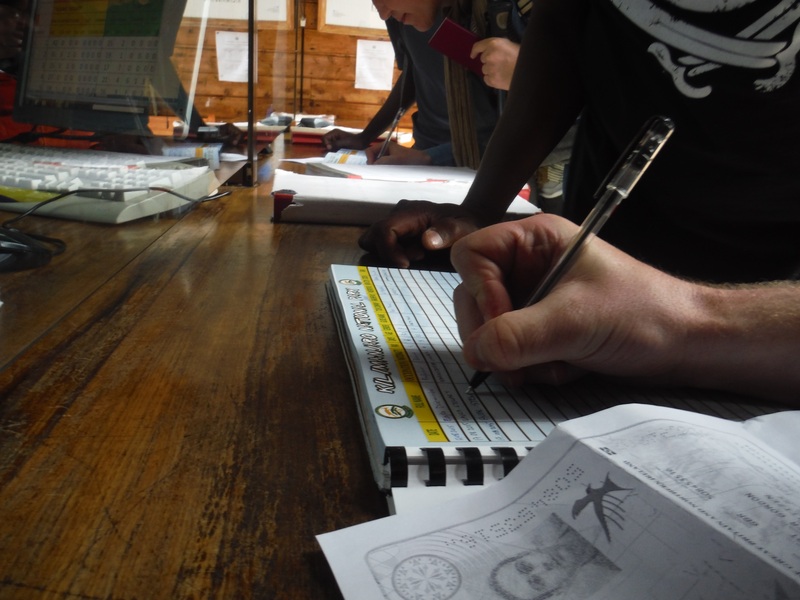 Day 3 is the start of a pretty intense 36 hours on the Marangu route. 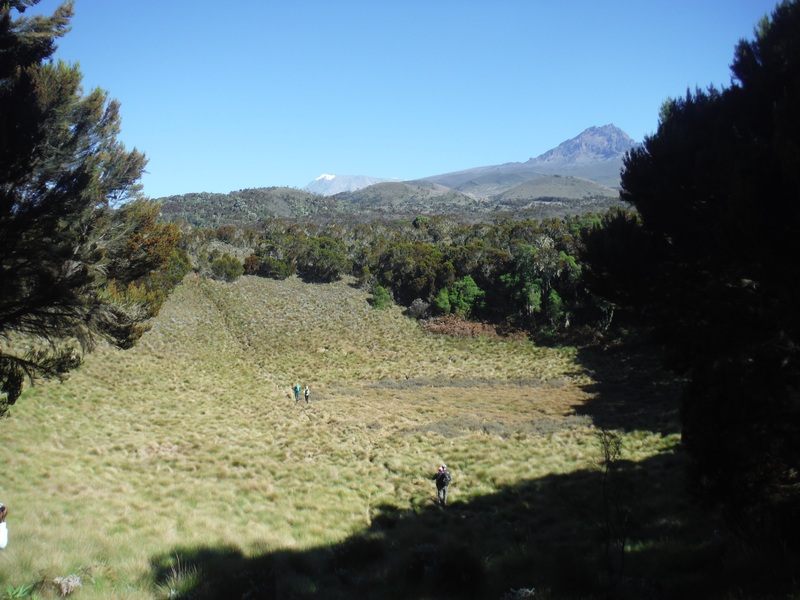 You have 9.6km to cover and another 1000m of ascent up to Kibo hut at 4730m. 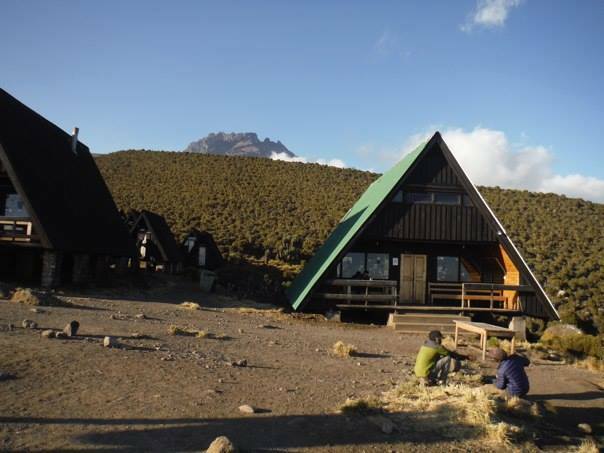 Kibo hut is the base camp for the summit and after arriving most people have a quick nap, quick dinner, then prepare for their midnight wakeup to get to the summit for sunrise. It’s hard to stay in the moment during day 3 as you know what is coming and almost just want to get it over with! 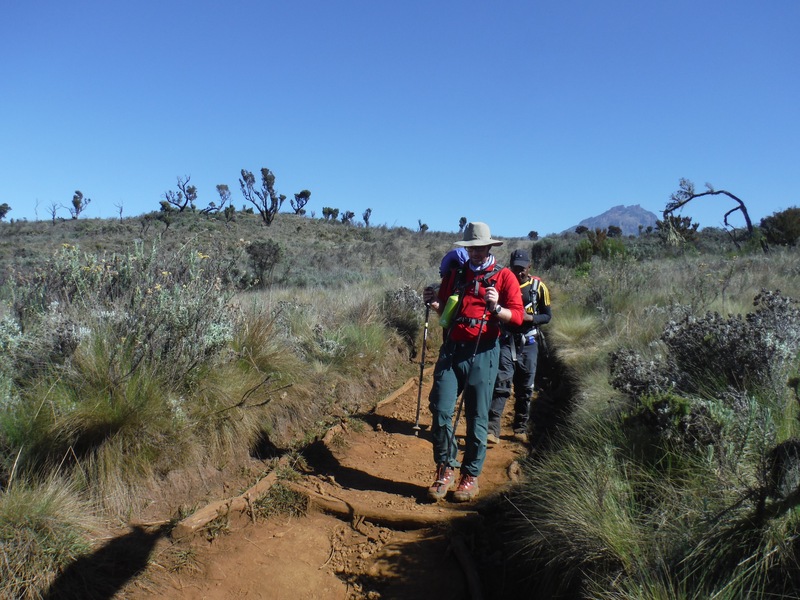 The trail across the alpine dessert takes you between the two peaks of Kilimanjaro through what is called the Saddle. It’s beautiful and easy walking as the trail is large, flat and soft. There aren’t as many big steep hills on this day either so it is a bit of a mental break. Alex, Issac and I were making good pole-pole time and took a break at the most scenic toilets ever to have a snack. This is near the last water point on the mountain so lots of porters were around filling up the massive water carriers they were taking up to Kibo hut to make our food. I scoffed down a Snickers duo here and was ready to keep going even though that pesky headache from the night before was back. I was always a bit nervous about getting Acute Mountain Sickness since I had previously had some symptoms while trekking the Annapurna Circuit in Nepal 10 years ago. I made it up to the Throng La pass at 5630m, but didn’t feel great so had to descent quite quickly. 10 years later I was a bit fitter, but still had no idea how I was going to do at high altitude. 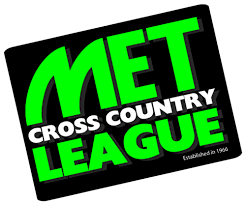 As the metres increased on my watch we passed 4,000 (celebrate with a drink of nuun!) and soon 4,500. 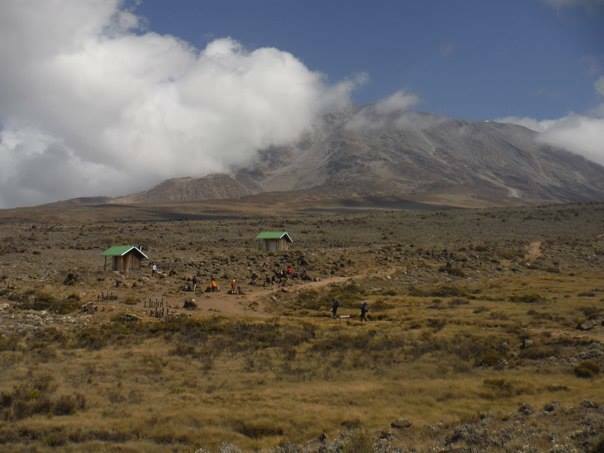 Things were going well so far, we could see Kibo hut in the distance but our guide warned us we were still hours away so we should stop for lunch. As we stopped for lunch my stomach joined in on the headache party and I made my way to the long drop toilets near the lunch area. This is where I took my gloves off and watched one fall into the pool of wee. This turned out to be the TSN Turning Point (Canadian reference) of my trek and things didn’t get much better. I returned to lunch with an idea to use hand sanitizer all over the glove, but then realised that woudn’t help much. So I just put it in a sandwich bag and pulled my sleeves over hand for the remaining few hours of the day. Both Alex and Issac were telling me to eat more but the AMS had started to take hold. I managed half a jam sandwich, the yummy mango juice and a biscuit. I knew it wasn’t enough but was doing the best I could. 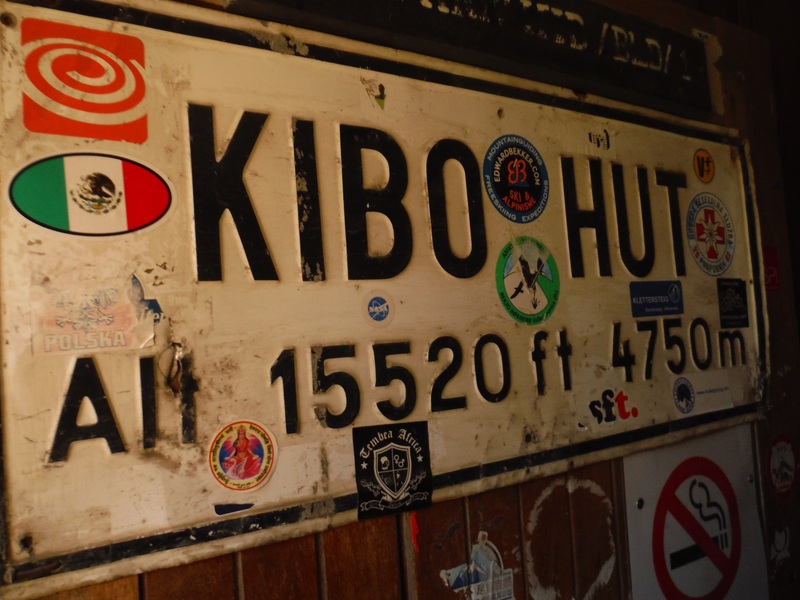 As we walked the last hour to Kibo hut all I could think about was taking a nap. I just wanted to get there and sleep off the AMS. I actually felt not so bad while we were walking, but every time we stopped the nausea would start again. As we finally made it to the huts we took the obligatory photo (my face says it all) and I went straight to bed. I slept for maybe an hour but spent most of the time watching the others in the room get ready for their summit attempt and was so jealous. I wanted to be moving around and packing but literally could not even imagine trying to even open my day bag to grab a water bottle. The AMS symptoms had taken hold of me and were not letting go. At about 3pm I knew I wasn’t going to be able to recover enough to attempt the summit and had to have a hard conversation with Alex and myself. Before the trip we agreed to take the trip as it went but we wouldn’t leave each other if things got bad. Like I said above, this was a trip to enjoy, not get to the summit at all costs. My AMS symptoms weren’t getting better and surely would get worse as we ascended to the summit 1000m above us. I wasn’t going to risk getting carried down (or worse) and after we discussed each option (between my dry heaving nausea) Alex decided that he would stay with me. As the others at Kibo woke up at midnight to make their way to the summit Alex and I stayed the night with him checking on me every hour. My symptoms were not improving but more importantly not getting worse so we were in the best situation. 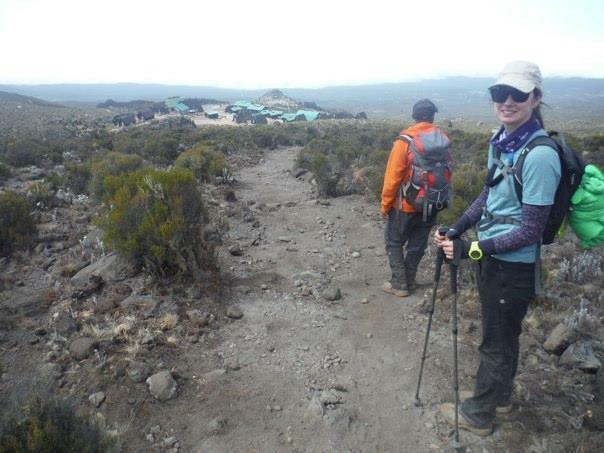 Day 4 started at 6am when we packed up and left Kibo hut, not for the summit, where we should have been at that moment, but back to Horombo Huts. I know we made the right decision and I’m not upset about missing out on the summit. 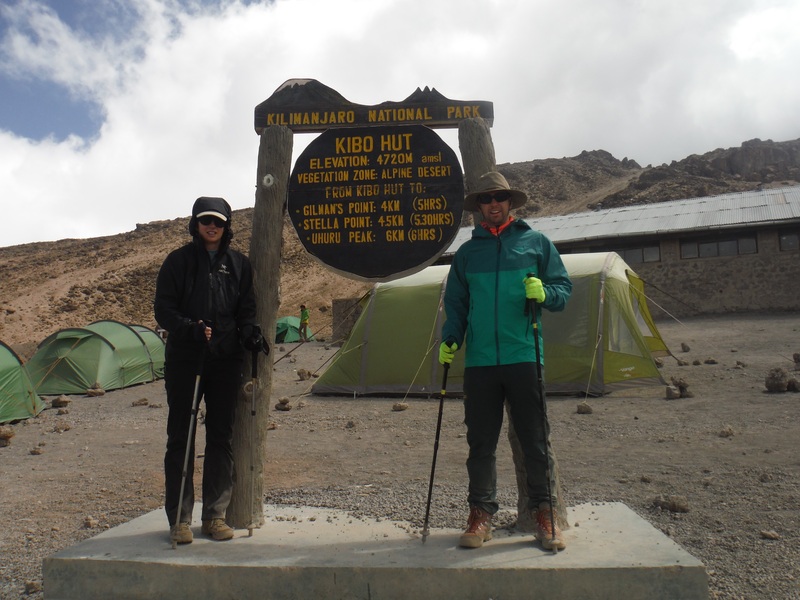 Alex and I enjoyed every step of our Kilimanjaro journey and because of that we cannot see any failure in the trip. Yeah, it ended early, but we had so much fun during the journey and no day was wasted dwelling on complaining or hardships. Pauline Sanderson told me a story about a man who owned a good wolf and a bad wolf, but only enough food too feed one. Which one will survive? The one he feeds. If you feed the negative experiences & emotions it’s no surprise your overall experience will be negative. We constantly fed our good wolf on this trip and to be honest, even the 24 hours I had AMS symptoms I look back positively on. No less than 100m below Kibo Hut I started to feel better. I had my first sip of water in 24 hours and it stayed in my stomach! 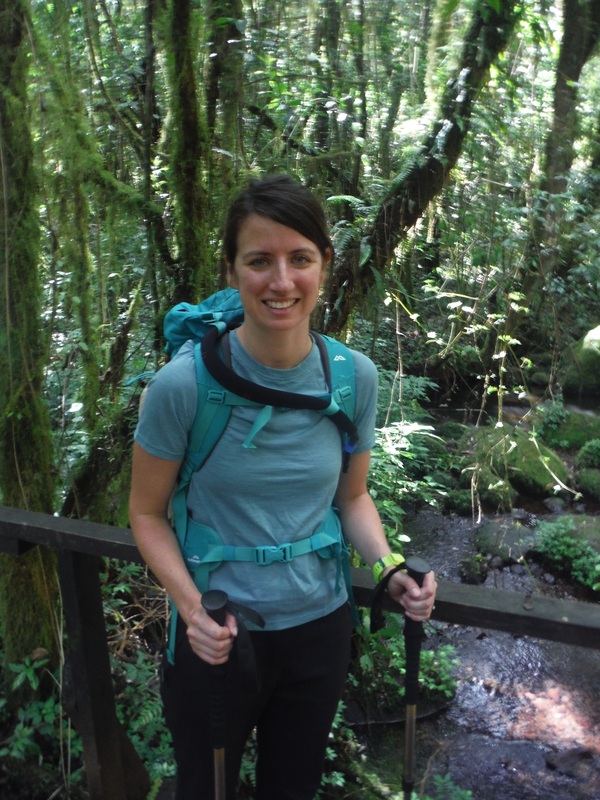 My classic AMS symptoms could have been prevented by choosing a longer trek with more acclimatization days and more days with hiking high and sleeping low. It’s not rocket science and like a hangover, all self inflicted. Some people have an altitude ceiling, and that might be my case (I hope to get up at altitude again to test it out one day), but I don’t blame it or anyone, I made the choice and am proud of it. It sucked a bit to descend and then feel fine, looking back to what I couldn’t do, but that’s the mountain you have to respect. Back near the infamous glove-drop toilets I had an apple that was pure magic and gave me life. 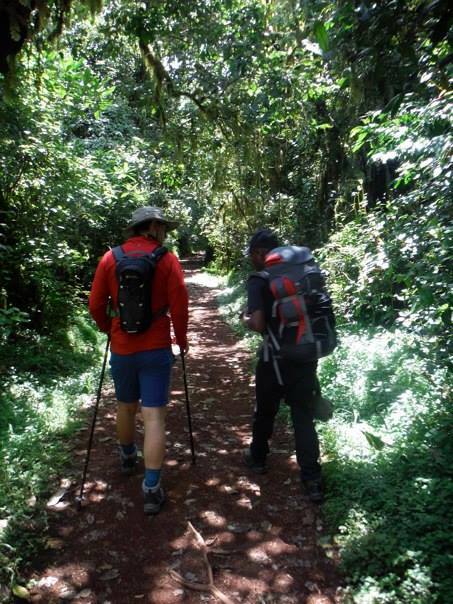 From there on we had a great day walking back to Horombo Huts. Not having to walk pole-pole anymore we could go at a nice pace and our guide took us on some detours to visit different parts of the mountain like Zebra Rocks. It wasn’t our summit day but it was a great day otherwise. Our amazing team of cooks, porters, and guides. Back at Horombo Huts we had a lovely afternoon wandering around the camp and surrounding areas, writing in our journals, and even sending a quick text back home. 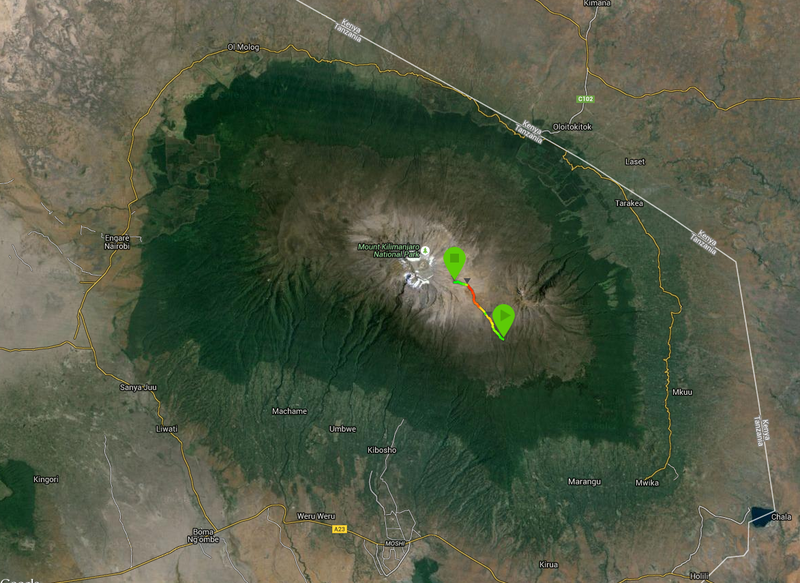 (There’s great 3G service on Kilimanjaro!) We met the people who had attempted the summit as they crawled back to the huts after their long days and soaked up all their stories about how hard it was. Again, I’m not sure why people call it the coca-cola route as I didn’t meet one person who found it easy, or even OK. A multi-day-ironman athlete told me it was the hardest thing he’d ever done. Day 5 is descent day. Down to the bottom. Say goodbye to your legs as they’ve done you well to this point but will now start to hurt. Over 3000m of descent left our calves aching and quads screaming. Even with poles it was a long day for our legs. It’s amazing how quickly we went though and we really enjoyed the descent taking our time to look back and thank the mountain for our past few days. 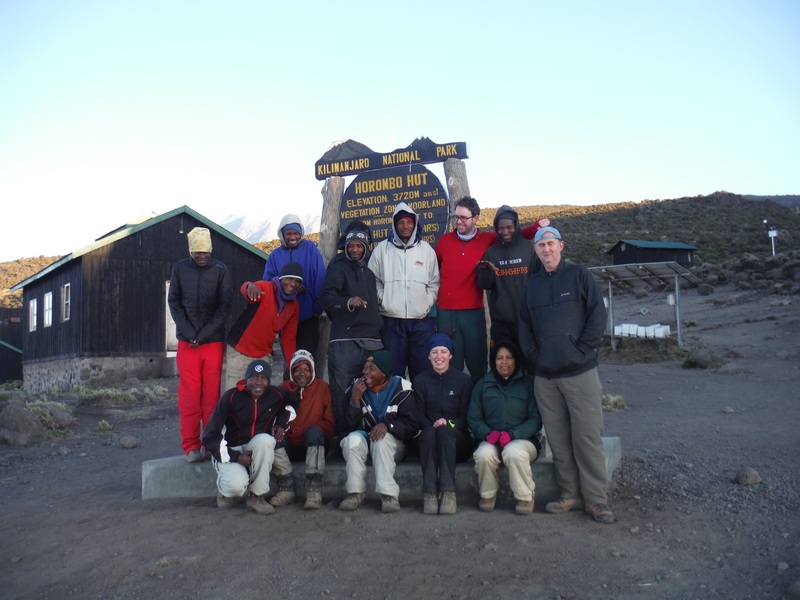 So that was our Kilimanjaro trek! 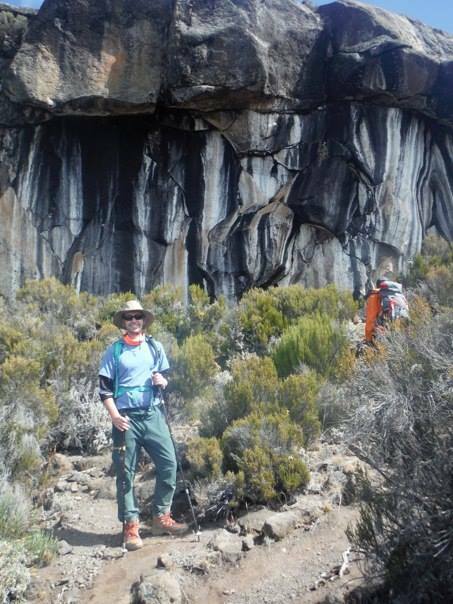 It was a perfect 5 days and I enjoyed every single second of trekking on Kilimanjaro. 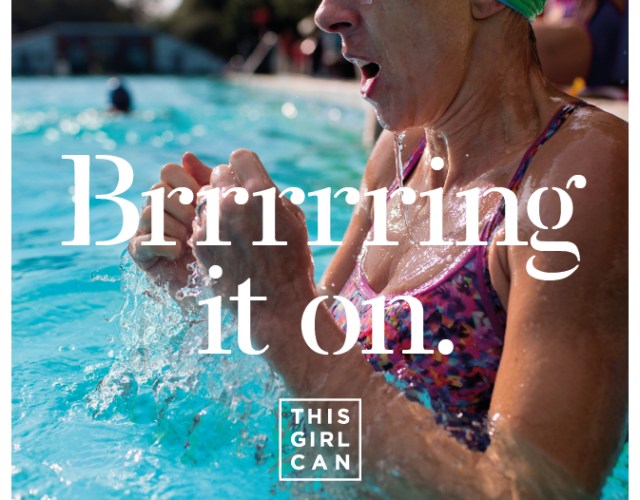 Setting challenging goals and trying to achieve them is what I love to do. The more scared I am of something the better an experience it ends up being. Yes, we didn’t make it to the summit, but how boring would life be if we did everything that was expected of us? “If you can’t climb it, drink it” OK THEN! 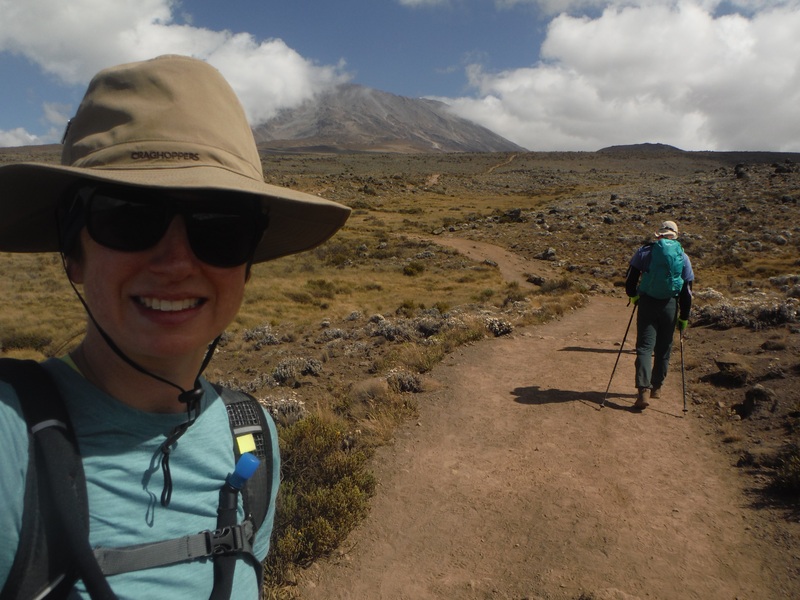 If you are climbing Kilimanjaro and want a kit list of things that worked for me, I’ve done a separate blog post so not to bore people with long winded stories about nuun & trekking poles. This entry was posted in london on September 9, 2015 by lauraestewart. Perfect attitude, a lot of people fail to respect altitude and it can get them (and other people too) into a lot of trouble. I love that you see this as a really positive experience and well done! It just means I get to go back one day! Not a bad thing to look forward to at all! 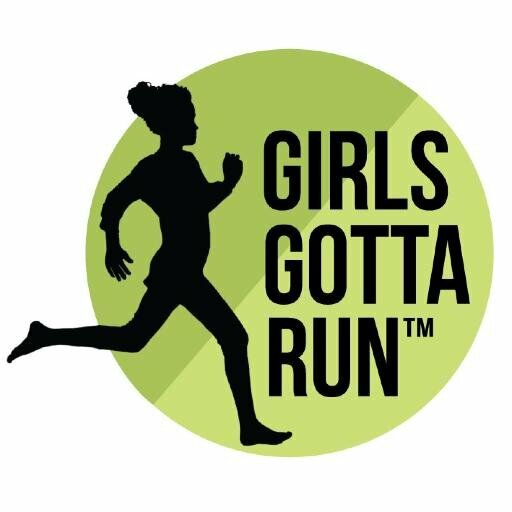 Amazing experience and great post- really enjoyed reading it. Definitely on the bucket list! Thank you! Let me know when you’re going, I’ll jump in your bag! Oh wow! I would love to do something like this. Well done for not letting feeling rubbish affect your overall experience. I would never have considered just how much altitude can affect someone. It seems crazy that it takes four days to go up but just one to come back down again. No wonder your legs were screaming on the last day! Thanks Charlie. Always more fun to focus on the adventure! Spent 5 days on safari after so we probably only walked… 50 steps a day on that 🙂 Perfect relaxation and totally recommend it as a great trip!